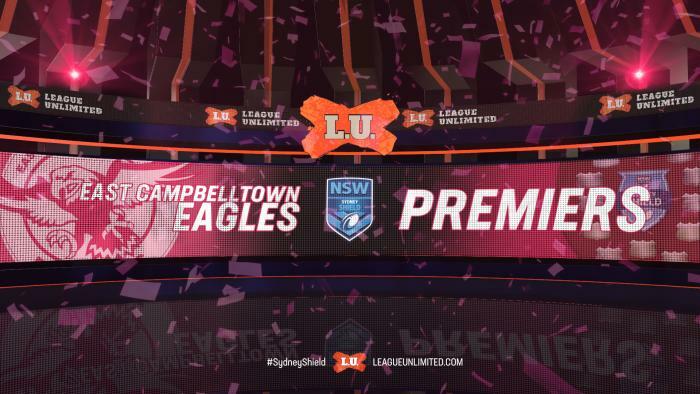 The East Campbelltown Eagles have claimed their third Sydney Shield premiership in five years after a relentless first half performance helped them to a 32-22 victory over the Guildford Owls. The Eagles had a blistering start with four unanswered tries in the opening 30 minutes; Craig Moustakas scored two of his own as Guildford were unable to withstand their potent attacking raids. But Guildford responded with two tries in the opening 10 minutes of the second half to give them a small chance at victory, but late tries Theodore Leato and Brett Lahey ensured the premiership would return to the 2018 Minor Premiers. The win also marked a special occasion for fullback Shannon Gallant as he recorded his first Grand Final victory since he was 17, but Guildford lost no admirers after their resilient second half effort and the fact they stormed into the decider from seventh place on the competition ladder. East Campbelltown took an early lead after they were invited into enemy territory on the back of a Guildford penalty, and they capitalised on their chance as halfback Edwin Connor sliced through from close range to open the scoring in the 7th minute. On the back of another Guildford error, they extended their lead after Leato found some open space on the back of some second-phase play before drawing three defenders and offloading to Moustakas to cross in the right-hand corner. Connor converted from out-wide to take a handy 12-0 lead after 20 minutes. Brimming with confidence, they raced out to a commanding 20-0 lead with two tries in quick succession, Amanono Tovio the first beneficiary after he finished a clever short-side raid before Moustakas grabbed his second try when he was on the end of a pin-point cross-field kick from Lahey. Guilford found some life after a rampaging Jake Sleiman stormed onto a Robert Longbottom pass before he was brought to ground by Gallant, and a try loomed when Saimone Lasalo placed a grubber into the in-goal on the ensuing play but the ball eventually went dead. Guildford fired out of the blocks in the second half with some brutal defence forcing an error in the opening set of six, and they took full advantage when Joshua Maree powered his way over from close-range. The game was set alight shortly after when Adam Soultan was sin-binned for a professional foul after a break from Guildford against the run of play, with a slick left-to-right shift helping Joshua Delailoa stroll over just moments later. Guildford eight points with just over 20 minutes remaining, the Eagles struck a crucial blow when Leato pounced on a deft grubber to score a crucial try - proving even more vital considering Soultan was still to return to the field. The result was put well beyond doubt after a determined effort from Lahey saw him cross for their sixth of the afternoon, before a consolation tries to Guildford's Jaydn Field and Delailoa gave their side a positive finish. RELATED: See the full list of 2018 Sydney Shield Draw and Results. RELATED: Click here to view the current Sydney Shield ladder.